Justice PV Reddy is the Commission Chairman and Senior Supreme Court lawyer R.Basant is a member. In a significant development Supreme Court of India has constituted a new National Judicial Pay Commission to examine the structure pay and other conditions of Judicial Officers belonging to the sub-ordinate judiciary all over the country. 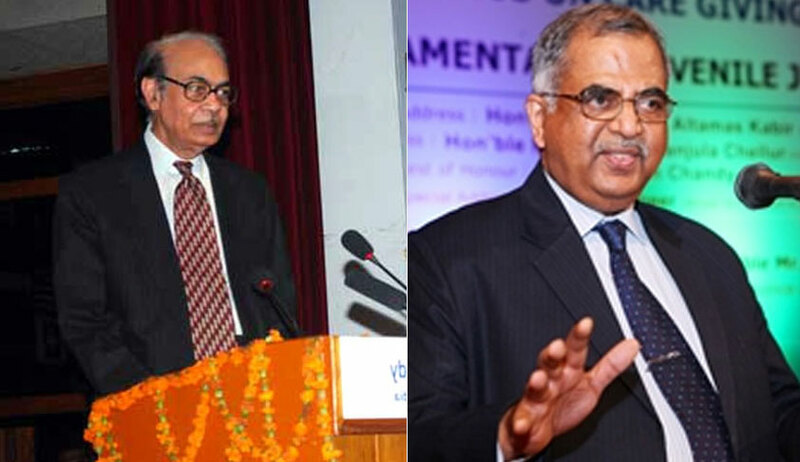 The Bench comprising of Justices J Chelameswar and Abdul Nazeer has appointed former Supreme Court Judge Justice PV Reddy as commission Chairman and former Kerala High Court Judge and Senior Supreme Court lawyer R.Basant as member. Supreme Court directed the Commission to complete the collection of data and make appropriate recommendations and submit a copy of the same to the Court preferably within a period of 18 months. “The Commission would be assisted by a Member Secretary who would be chosen by the Commission, preferably a Judicial Officer either in service or retired. In case the Commission decides to choose a serving Judicial Officer of any State, the concerned High Court and the State would make available the services of such an officer and treat such officer to be on deputation to the Commission”, states the Order. The order was passed in a petition filed by All India Judges Association. By an order dated 8th March, 2017, the bench recorded that for adjudicating the various questions raised by the petitioners in the instant writ petition, certain data is required to be collected and for that purpose, a body competent to collect the data is required to be constituted. The Court also took note of the fact that basis of the recommendations of the Shetty Commission the Court issued various directions. The petitioners have requested the Court to constitute a new commission. “It was also recorded by the order dated 8th March, 2017 that the Government of India would submit draft Terms of Reference for the guidance of the Commission, to be appointed eventually. Government of India has since filed the draft Terms of Reference. Learned counsel for the petitioner also agrees that the various suggestions made in the said draft be the terms and reference to the Commission”. To evolve the principles which should govern the structure of pay and other emoluments of Judicial Officers belonging to the sub-ordinate judiciary all over the country. To examine the present structure of emoluments and conditions of service of Judicial Officers in the states and UT's taking into account the total packet of benefits available to them and make suitable recommendations including post retirement benefits such as pension etc. having regard among other relevant factors, to the existing relativities in the pay structure between the officers belonging to sub-ordinate judicial services vis-a-vis other civil servant and mechanism for redressal of grievances in this regard. To examine the work methods and work environment as also the variety of allowance and benefits in kind that are available in Judicial Officers in addition to pay and to suggest rationalization and simplification thereof with a view to promoting efficiency in Judicial Administration, optimizing the size of judiciary etc. and to remove anomalies created in implementation of earlier recommendations. To consider and recommend such interim relief as it considers just and proper to all categories of Judicial Officers of all the States/Union Territories. The interim relief, if recommended, shall have to be fully adjusted against and included in the package which may become admissible to the Judicial Officers on the final recommendations of the Commission. To recommend the mechanism for setting up of a permanent mechanism to review the pay and service conditions of members of sub-ordinate judiciary periodically by an independent commission exclusively constituted for the purpose and the composition of such commission should reflect adequate representation on behalf of the judiciary. “The Commission will devise its own procedure and may appoint such advisers, institutional consultants and experts as it may consider necessary for any particular purpose. It may call for such information and take such evidence as it may consider necessary. All State Governments, UT Administrations and the Ministries/Departments of the Central Government will furnish such information, documents and other assistance as required by the Commission”,states the order. The Court has made it clear that it is open for the Commission to devise its own procedures and formulate modalities necessary for accomplishing the task. The Court also directed all the respondents-Union of India and States and High Courts, would render all assistance due to the Commission. The Court also directed the Union of India to make available the services of one of its Additional Solicitors General to assist the Commission.